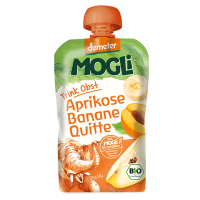 MOGLi Organic Fruit Pouch Guava offers an exotic fruit experience with the best Demeter certified fruit and a dash of lemon juice, nothing else. Handy, pocket sized and therefore ideal if out and about, it is free from artificial flavours, thickening agents, colourings and preservatives and contains only naturally occurring sugars from the fruit itself. Guava is an exotic fruit with a sweet smelling fragrance and reminds you of a combination of pear and quince. The fruit, which is the size of an apple, is rich in vitamin C, B vitamins, iron, potassium and calcium and can be eaten raw without the skin. 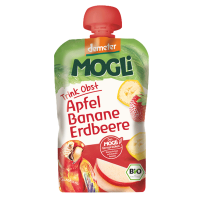 MOGLi source their fruit from Demeter and organic growers around the world. 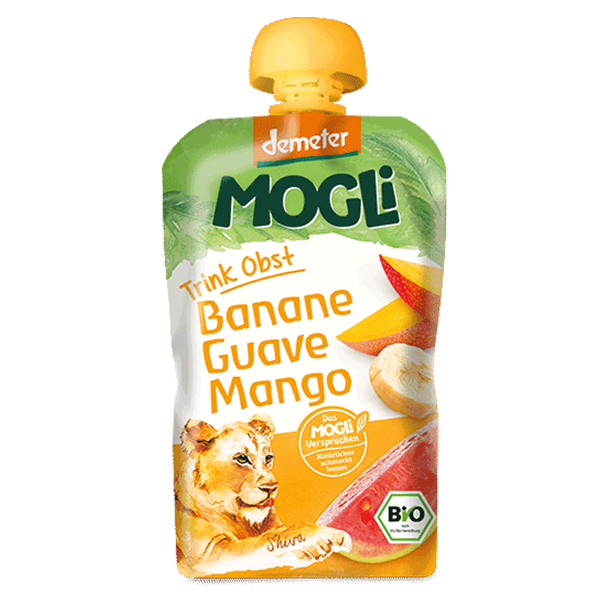 Guava Fruit Pouch contains sunripened mango from India, bananas and guavas from Southern Brazil and lemon juice from Italy and Sicily. 100% fruit - 100% taste. Organic fruit purée, without skin and pips. Contains only naturally occurring sugar from the fruit. 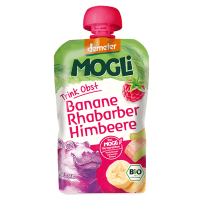 Taste of this product was completely surprising as ingredients are well mix and taste very good sweet without any sugar definitely will buy again. 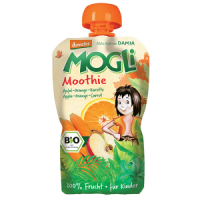 A really good find, my little one adores these smoothie pouches, especially after they have been chilled in the fridge.